FRANCE VENDING MACHINE COMPANIES. 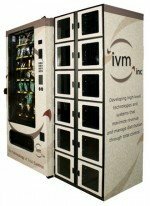 These French Vending Companies offering: Snack, Soda, Drinks, Food, Deli, Coffee, Healthy vending machines, Micro Markets, Amusement Games, Repair services and more! These suppliers are listed below alphabetically by company name, please contact them direct for more information about their vending services & products they offer.